Founded in San Diego in 1982 Bad Boy quickly gained a reputation for sponsoring athletes, initially in surfing, skating and motocross competitions. They made the move to martial arts by sponsoring the BJJ legend Rickson Gracie, and currently sponsors a stable of fighters including the likes of Alexander Gustafsson and Michael “Venom” Page. 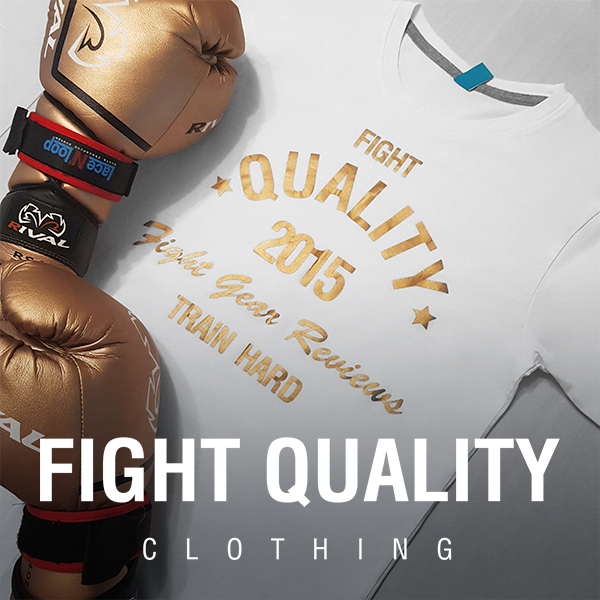 They stock a wide fade of fight gear and apparel and have become one of the most recognisable names in MMA with their distinctive two eyed logo. Bad Boy sent us a pair of these gloves to test out and provide our feedback for them. The Legacy 2.0 range is Bad Boy’s slightly more premium collection, with these gloves obviously a key part of it. As a result, these are packed with features to set it apart from the competition. As well as these Velcro gloves, you can also grab these as lace-up versions. Many of the parts discussed in this article will likely apply to those too, however the build is slightly different, so take this review with a pinch of salt if it’s the laced versions you’re after. The gloves are available in 10oz, 12oz, 14oz or 16oz. Personally I’ve been working with the 16oz versions for the maximum amount of padding. Speaking of the padding, Bad Boy have clearly spent some time experimenting and have come up with a unique 5-layer padding, including what they refer to as ‘Hex-Tech’ grid padding. Take a look at this quick video to check it out, but it essentially appears to be a thin padded layer moulded with a slim hexagonal design. It’s not noticeable when you touch it on the outside of the glove, however the use of geometric shapes and the spaces in between are designed to help a little in spreading the impact. I have to hand it to Bad Boy, they know how to make some awesome looking gloves. Bad Boy have grown up as a primarily MMA brand, and while these would definitely catch the eye of a typical MMA fighter, they’re also fairly understated. The Brown leather variant for example drops the hexagonal pattern completely to aim for a much more traditional boxing look. There are three colour options in total; the brown ones mentioned a second ago, a black pair with a glossy hexagon pattern, and a white pair with a light grey hexagonal pattern. I’ve been working with the white pair, which is probably my favourite out of the three, but I can definitely see the appeal of the others. The hexagonal pattern covers the fingers and thumb of the glove, fading out gently on the back of the hand. The word Bad Boy is written along the edge furthest away from the thumb, with the iconic Bad Boy ‘eyes’ logo stitched behind a cut-out rectangle on the back of the hand. On the palm side, there’s also a small tab with ‘LEGACY’ written on it. That’s not all in terms of visuals though, as several parts of the leather are perforated in places, adding an interesting visual effect which ties in beautifully with the hexagonal pattern. While overall I’m loving the white, white gloves do tend to show wear quicker, and sometimes the colours of other equipment can rub off on the leather. In my case, I spent a session working ‘Dutch’ Drills and combinations with a partner, and their yellow Fightlab Flo Gloves had left a slight yellow tint on the palms by the end of the session. Obviously this is something which would be completely avoided by grabbing the black or brown gloves instead, but I was a little disappointed with how quickly it happened. It’s like white shoes I guess – they never stay clean for long! The Leather used on these gloves is lovely. The leather has a soft feel to it, much softer than any of the other gloves we’ve reviewed so far on Fight Quality. While it provides a lovely texture, I’m a little worried about the long term durability compared with slightly tougher leathers. Thankfully the graphics printed on the knuckles add a little more longevity to the important areas of the gloves. The inner material is okay, but nothing special. Despite it feeling fairly smooth, it’s not quite as soft or silky as many other brands in the same price range, so it can also feel a little rough on the skin at times. There isn’t any excess of material around the fingers, and it all seems trimmed well, so that once your hand is in place there’s still a good level of comfort. There are some really great parts about the construction of these gloves, but also a few bits which could be better. To get the negatives out of the way first, I feel the stitching lets these gloves down. Most places are double stitched and I don’t see any issues with the durability, however there are lines of stitching which are a little wonky, sections which look like they’ve been over twice, and a few loose threads which just make things look a little messy up close. It’s frustrating because with a little more attention to detail, these inconsistencies could have been avoided. Now on to the good parts, and it’s clear a lot of thought has been put into the design of these gloves. There are a lot of different cuts of leather on these gloves, allowing them to be shaped a little more than most gloves. Even the breathable section around the fingers seems to have thought put in, with the grip bar running through the mesh itself. It seems like a great idea to help air out the fingers without utilising two separate breathable sections. There are also a total of 11 air holes cut into the inside of the thumb, so it’s clear breathability is something Bad Boy have kept in mind. The wrist strap is well designed too and I found it fits round perfectly without being too long. The strap is also elasticated with two layers of thick elastic at the base, about an inch long, which I’ve found makes it super easy to get a nice tight fit around the wrist. Again, the attention to design shows here, and the strap has a slightly padded raised central section, which helps a little with supporting and protecting the wrist. Overall these gloves have been really nice to use. The fit is great, giving a close fit without being overly snug. The gloves have been great to use from the start, and the padding does a great job at dispersing shock provided you wear hand wraps for comfort. While I’ve been using these gloves for a bit of everything, I feel like they excel most for bag or pad work. The fit and support means that you don’t have to worry about picking up bad habits. On a bag or pad, you also get to make the most out of the Hex-Tech grid padding, as you’re much more likely to hit straight-on than when sparring. It’s also going to keep these gloves going for longer, avoiding excessive contact on the softer parts of leather, and removing the risk of unwanted colour transfer if you have the white gloves. I did have a minor issue with my little finger rubbing on the inner material of these gloves which was pretty distracting at the time, however it only seems to have happened a few times. At €120 (also roughly $120 on the US store), these are a little on the pricey side. These might not be suitable for a beginner, but an intermediate or advanced boxer or fighter would probably get some good use out of these. If you’re looking for a glove which focuses a lot on style and features, this glove would be a great choice.